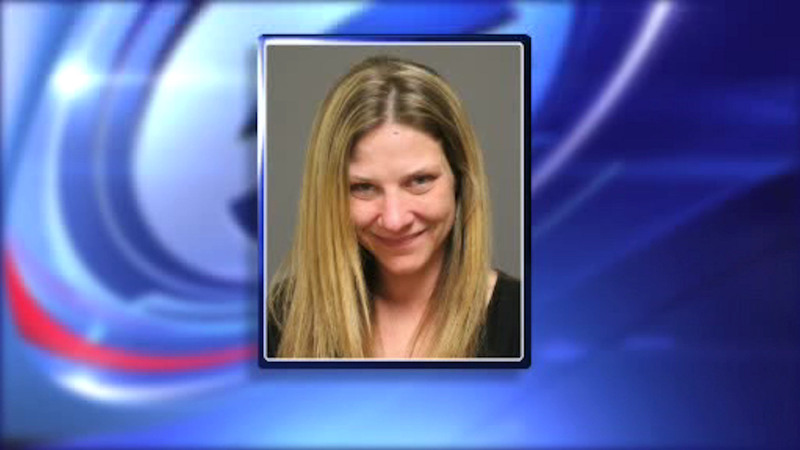 FAIRFIELD, CT -- A mother in Connecticut may be smiling in her mug shot, but the charges against her are no laughing matter. Victoria Leonard was charged Tuesday with two counts of risk of injury to a minor and breach or peace after Fairfield Police say that she was acting strange and had fallen at her home after drinking alcohol. Leonard's 9-year-old daughter managed to call 911 on Sunday after she became worried that her mom had hurt herself after falling according to police. The arresting officers said that Leonard was drunk and combative during the arrest. The 9-year-old girl and her 4-year-old sibling were handed over to their aunt and child services was notified.